What is a Low Profit Limited Liability Company? 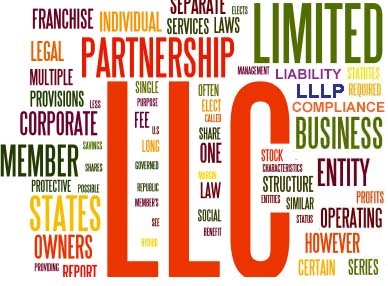 Several states have recently enacted legislation establishing a new entity type known as a low profit limited liability company, or “L3C.” An L3C is a cross between a limited liability company and a nonprofit organization that is organized to further a charitable or educational objective, but with a secondary profit motive. The L3C legislation was designed to encourage increased funding for charitable or educational projects by facilitating compliance by private foundations with Federal IRS rules for Program Related Investments (PRI’s). According to the IRS website, a PRI is an investment that must be principally related to the foundation’s exempt purposes and not intended to produce meaningful income or property appreciation. Lobbying or political activity is not a permitted purpose. Private foundations have made limited use of PRI’s due to potentially severe penalties if the investments are found to be non-compliant and because of the substantial start up costs needed to insure compliance. Vermont’s L3C statutory provisions are examples of typical L3C statutes. 11 V.S.A. Section 3001 provides that an L3C is a person organized under Chapter 21 (Limited Liability Companies) for a business purpose that: (1)significantly furthers the accomplishment of one or more charitable or educational purposes within the meaning of Section 170(c)(2)(B) of the Internal Revenue Code of 1986, 26 U.S.C. 170(c)(2)(B); and (2)would not have been formed but for the company's relationship to the accomplishment of charitable or educational purposes. A major benefit of an L3C is that the operating agreement can provide for different classes of members with investment risks and returns distributed unequally among investors. This allows the foundation to make a significant high risk, minimal return investment while other investors make moderate or low risk investments with higher returns, thereby encouraging private investment in socially desirable projects. • High risk investments in nonprofit low income housing project. IRS rules require that private foundations distribute 5% of their assets to a charitable purpose each year or suffer a penalty. The advantage of a PRI to a private foundation is that the investment in the PRI will help to meet the requirement while allowing the foundation to recoup its investment and, possibly, a minimal return. The concern is that an improper investment may subject the foundation to substantial penalties and possible loss of nonprofit status. Ultimately, few foundations are willing to incur the expense of seeking a private letter ruling and engage in the protracted negotiations with the IRS necessary to ensure compliance with the PRI requirements before investing. In theory, the typical L3C statute tracks the IRS requirements for Program Related Investments thereby making it easier for an L3C to qualify as a PRI. The IRS, however, has been unwilling to issue general guidance concerning L3Cs. Critics charge that the unwillingness of the IRS to issue this guidance has severely limited the potential use off L3C entities. They stress that private foundations should not be lulled into a false sense of security by L3C entities and that private foundations should still obtain a private letter ruling from the IRS before investing in a PRI. In addition to Vermont, states that have enacted L3C legislation include: Illinois, Louisiana, Maine, Michigan, North Carolina, Rhode Island, Utah and Wyoming. Indian nations such as the Oglala Sioux Tribe and the Crow Indian Nation in Montana have also enacted L3C legislation. States that are considering L3C legislation include: California, Georgia, Hawaii, Iowa, Massachusetts, New York and Oklahoma. Due to the costs and potential risks involved and until the IRS offers more guidance in the use of L3Cs in connection with Program Related Investments, it seems unlikely that foundations and charitable organizations will embrace this new entity type to further their charitable and educational objectives.